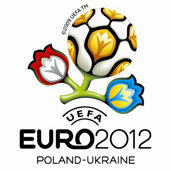 ﻿ EURO 2012 » Scotland would also like to take charge of EURO 2012. EURO 2012 > Euro 2012 > Scotland would also like to take charge of EURO 2012. Scotland would also like to take charge of EURO 2012. Scotland is able to take charge of EURO 2012 instead of Poland and Ukraine – declared Gordon Smith, the general director of the Scothish Football Association. During the interview for ‘Sunday Herald’ Smith asserted that the championship could be held in Scotland in case Poland and Ukraine did not manage to take care of the event. In his opinion, there are three stadiums in Glasgow where international matches could be organized: Celtic Park, Hampden Park and Ibrox Park.